When it comes to lifting, rigging and lashing, Kelmeg Lifting Services (KLS) is South Africa's leading manufacturer and supplier, and a company within the Commercial Products division of Bidvest. For the past 26 years, KLS has been providing customers in all industry sectors with excellent lifting equipment and outstanding after sales-support. This year, KLS is pushing the boundaries of excellence even further by bringing this support right to the customer's premises or project site. "We have recently expanded our service offering to include a mobile Lifting Machinery Inspection (LMI) unit. This will be accompanied by a registered lifting machine inspector, who is fully equipped to perform lifting machine inspections, load tests, repairs and maintenance; as well as the recertification of repaired equipment," says Rodney Young, General Manager of KLS. "This will conveniently all be conducted on site at the customer's convenience," Young advises. The LMI unit is equipped with a mobile load test rig; as well as repairs and maintenance facilities, including a range of spares, and the issuing of load test certificates on site. "This means that lifting tackle which complies with the required SANS specifications can be issued with the necessary certification on completion of the inspection or test, on site," comments Young. He goes on to explain: "Inspections on lifting tackle are a legal requirement in terms of the Driven Machinery Regulation 18 of the Occupational Health and Safety Act 85 of 1993, 2015; as well as chapter 8 of the Mine Health and Safety Act, Act 29 of 1996, which dictates that all lifting tackle must be inspected by a competent person at intervals not exceeding 3 months. Lifting machinery has to be subjected to a thorough examination - as well as a ‘proof load' in accordance with the standard to which the machine was manufactured - by the Lifting Machine Inspector (LMI) of a Lifting Machine Entity (LME), to determine the serviceability of the lifting machinery, at intervals not exceeding 12 months." 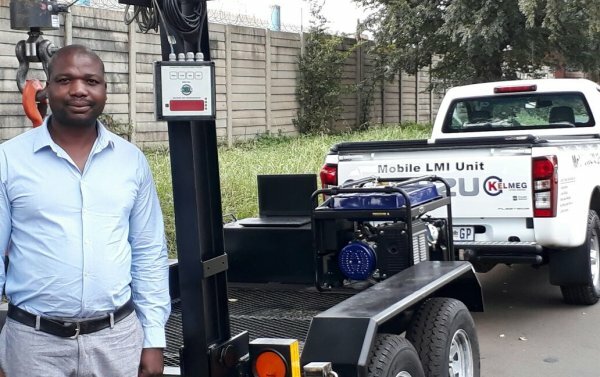 Milton Mhlanga, KLS's leading Lifting Machine Inspector (LMI), who has over 20 years of accumulated lifting industry experience, explains that mobilising this valuable service will result in improved efficiencies - not to mention expedited maintenance and inspections for KLS's customers. Mhlanga explains that this service is underpinned by the company's commitment to continuously expanding its product and service offering, while maintaining the most stringent levels of professionalism, quality and service excellence. "Our aim is not only to provide a comprehensive range of lifting and rigging equipment to our customers; but to add further value by combining our long-standing industry knowledge and expertise with innovative execution strategies," he comments. Young and his team are passionate about customer service delivery. "To us, the provision of the mobile LMI unit is a natural progression through which we can more efficiently meet our customers' legal compliance and safety-related requirements - in order to provide a one-stop-solution to the challenges faced on site," he concludes.